The Internet of Things (IoT) has become commonplace in almost every home and office. We use it to turn on the lights, connect our devices to satellites broadcasting streaming media, or place orders for grocery delivery. But the IoT has also quickly become an integral part of supply chains. It provides us with the advantage of using systems already in place, such as our smartphones or supply chain execution platforms, to expand our capabilities for more responsive and manageable supply networks. With less than 10 months before the International Maritime Organization (IMO) regulation on sulfur oxide emission goes into effect, carriers and shippers alike are facing an uncomfortable uncertainty over its potential effects on costs and freight rates as they enter the 2019-2020 trans-Pacific contracting period. The 2020 deadline to reduce sulfur oxide emissions to 0.5 percent m/m is one of the most significant regulations impacting liner shipping in recent memory. Lacking an industry standard for fuel-surcharges computation or a clear picture of the underlying costs for low-sulfur fuel, participants can only roughly estimate its economic impact. Several factors affecting a carrier’s calculation of the fuel surcharges add complexity, making transparency ever so paramount to building trust on both sides. The intention of this whitepaper, produced by Seabury Maritime in cooperation with Gemini Shippers Group, is to promote open dialogue between carriers and shippers by providing insight and a general understanding around metrics used behind bunker calculations. The IMO is the United Nations agency responsible for implementing global maritime regulations after they are ratified by a number of member states. On Oct. 27, 2016, its Marine Environmental Protection Committee (MEPC) agreed to implement a global 0.5 percent m/m sulfur oxide emissions limit, effective Jan. 1, 2020. The current global limit is 3.5 percent m/m sulfur oxide. Airborne sulfur oxide is a dangerous pollutant, especially near population centers, and is a leading cause for acid rain. Studies have shown that sulfur oxide is a cause of respiratory diseases such as asthma. Increasingly complex omnichannel business models are resulting in correspondingly complicated global supply chains. Maximizing efficiencies for time and cost in moving freight around the world is mission critical. This paper takes a high-level look at three opportunities for optimization: cargo consolidation, cargo risk management, and customs management. How do you, as a shipper, address the ongoing challenges associated with trucking? In this White Paper, you’ll learn how inland ports have become an important option to counteract the impact of the truck driver shortage. To start, cargo bound for an inland port moves quickly off the marine terminal, onto short haul rail then to the inland port. Such intermodal rail services reduce dependency on the unknown of driver availability and improve operational efficiency via a consistent and forecastable delivery schedule. But, that’s only part of the story. Click here to get all the ways inland ports can drive value in your supply chain. Blockchain. The Internet of Things. Artificial Intelligence. Robotics. Virtual Reality. 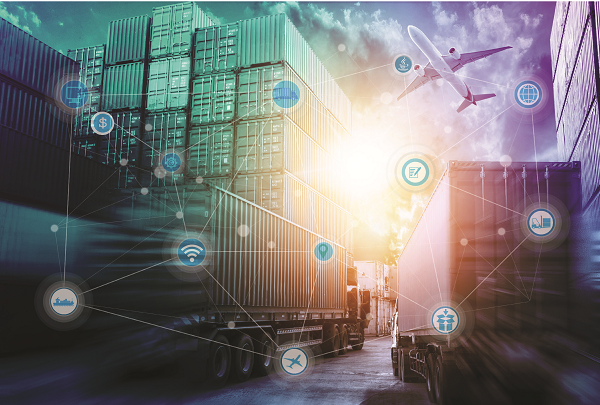 Not since the internet burst on the scene two decades ago have so many disruptive new technologies attracted the attention of supply chain managers, including shippers, transportation carriers, retailers, and other stakeholders in the global trading community. Progressive logistics providers are carving out a unique position from which to support the increasing innovation of its customers by leveraging these new technologies and creating unique tailored solutions. Click Here to Read More or Download. The majority of shippers today are concerned with rising transportation costs, fueled by an increasing demand in shorter consumer delivery times and an expanding network of inventory distribution points. Discover how an automated solution can help ease your transportation costs fears with Amber Road’s eBook, Controlling Shipping Costs via Multi-Modal Freight Rate Visibility! Whether your business is building or scaling, you can't optimize your supply chain until you understand each component from start to finish. And you're in luck! Our eBook provides a comprehensive overview. Working As One: How real-time cloud-based data-sharing will benefit the maritime shipping sector. As the globalization of world trade accelerates, the importance of achieving operational speed without sacrificing accuracy is becoming paramount to the success of all stakeholders in the international trading system — from shippers to logistics service providers, terminal operators, and carriers, to retailers, consumers and end-users of the transported goods. For businesses involved in that supply chain, providing end-to-end visibility and predictability is vital for staying ahead of the competition. Fortunately, automation and digitization are making that possible at levels that were unimaginable even a few years ago. Nevertheless, a great deal of additional progress remains attainable, so long as stakeholders join forces to take the next big leap in the process. In a 2018 survey of approximately 250 shipping industry executives and professionals conducted by JOC.com/IHS Markit, Navis, and XVELA (Fig. XI), more than half of all respondents anticipated that their performance metrics would improve by at least 50 percent if they could share real-time operational information. However, 56 percent surveyed see a hurdle in the lack of industry data standards, a statistic that supports concerns raised by stakeholders that data standardization is a primary challenge that needs to be overcome to achieve widespread industry collaboration. Based upon a series of interviews with industry thought leaders as well as the survey results, this report examines the potential path to real-time collaboration across the industry, including cultural and operational challenges facing adoption. This project was co-sponsored by Navis and XVELA. The advent of cloud-based, collaborative data-sharing platforms has enabled automation of dozens of global supply chain processes and management of electronic booking, digital transmission of shipping instructions, and real-time container-status tracking. With the expansion of collaboration and data-sharing into the foundational end-to-end container planning processes, from stowage planning and execution to berth window management and port call optimization, the ideal of “working as one” appears to be within reach. Hey Pallet Geeks! Which Pallet Type is Best for You? One major trend of 2018 is that transporting goods remains costly and complex with increasing ecommerce sales and shipping rates, unexpected natural disasters, and driver shortages. This paper examines several supply chain trends to closely monitor this year and how digitizing your supply chain can keep you one step ahead. As a result of increasing pressure to improve supply chain predictability, creating certainty around the berth time of a container ship in a port is a primary challenge for the industry today. This paper explores how providing visibility and transparency to port operations can lead to a better way of doing things in the berth management field. This paper takes a deep dive into SMC³’s CzarLite XL, an advanced pricing system solution that gives shippers and logistics service providers a new neutral benchmark choice when negotiating LTL shipping rates. The Journal of Commerce/IHS Maritime & Trade, NASSTRAC, the Transportation Intermediaries Association, and Truckstop.com took the pulse of a domestic transportation market at a crucial turning point in late September. Shippers and freight brokers offered their expectations for the next six months and the year ahead. Significant change is anticipated, especially in terms of available truck capacity.